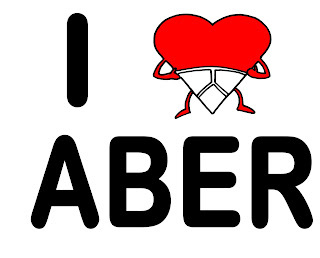 Show your LOVE for Aber - Come in your pants! The Joint, then weather-permitting, the concourse outside! Help us break the World Record for the most amount of people wearing only their pants! From Wednesday 11th November, you can buy your pants from the Union - £2 will get you the pants and a celebratory drink afterwards! Then... just turn up in your pants! In support of the attempt to break the World Record (as detailed above) The Courier will be attending in order to fully document this epic event. Lauren (Copyeditor) and Christine (Editor) will be capturing the spirit of the day through photographs and informal interviews. All material will be published as part of this blog. If you fancy coming along for a laugh (and maybe help us get something written down for the blog afterwards), meet us outside the Union main entrance at 12:00 noon. You will recognise us by our grey Courier t-shirts.